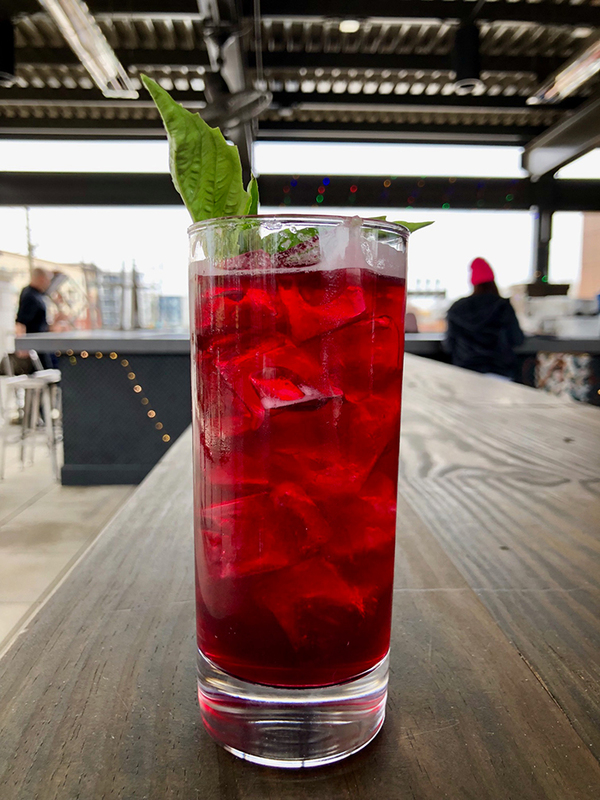 With views of Uptown, Topside officially opens this evening (Friday) at 6 p.m. It’ll be open on both Saturday and Sunday from noon to close this weekend. Beginning next Thursday, March 28, regular hours will be from 6 p.m to close on Thursday and Friday and from noon to close on Saturday and Sunday. All hours are weather permitting (it’s covered, but open on all sides). 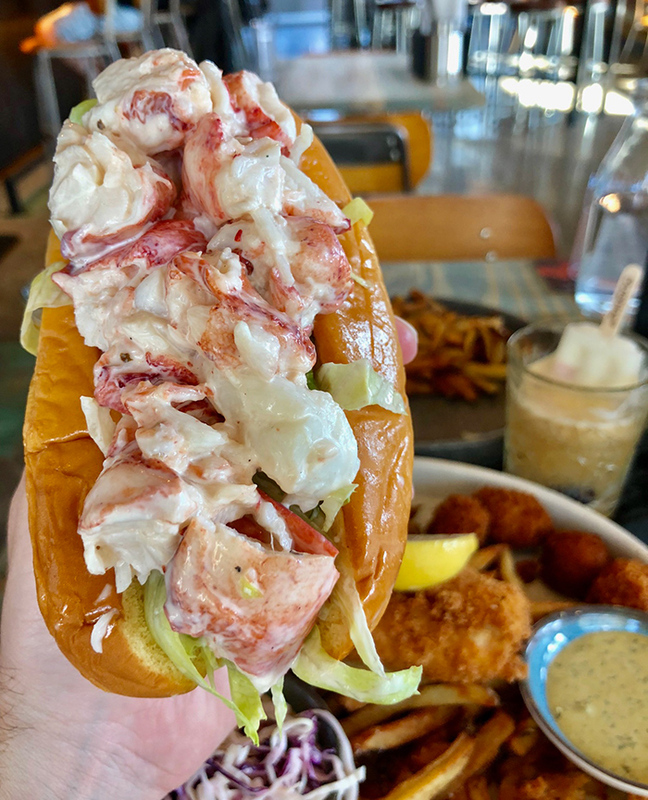 Catch up: The Waterman opened in October 2018, and it’s off to a solid start. 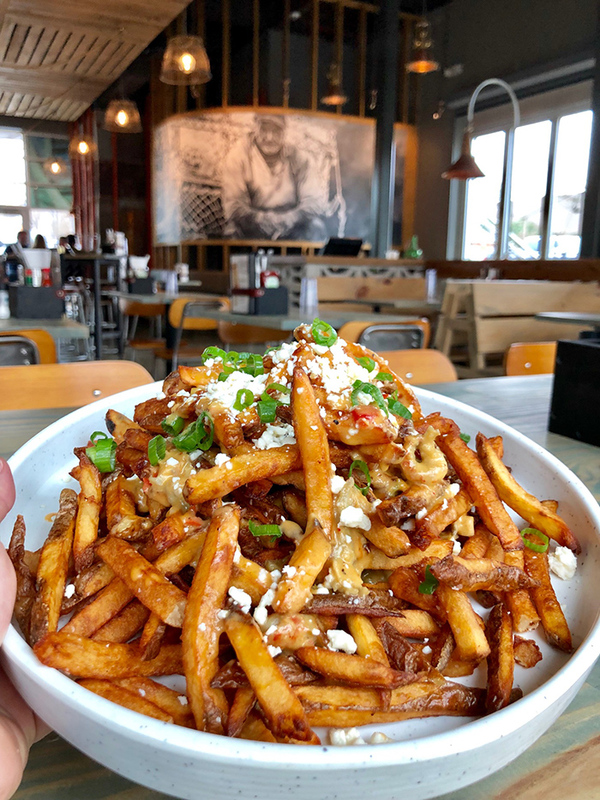 It’s generated four out of five stars on Yelp and made our list of the 17 best new restaurants in Charlotte. Ownership: The brains behind the project are Paul Manley and Andrew Chapman, who also run Sea Level in Uptown. 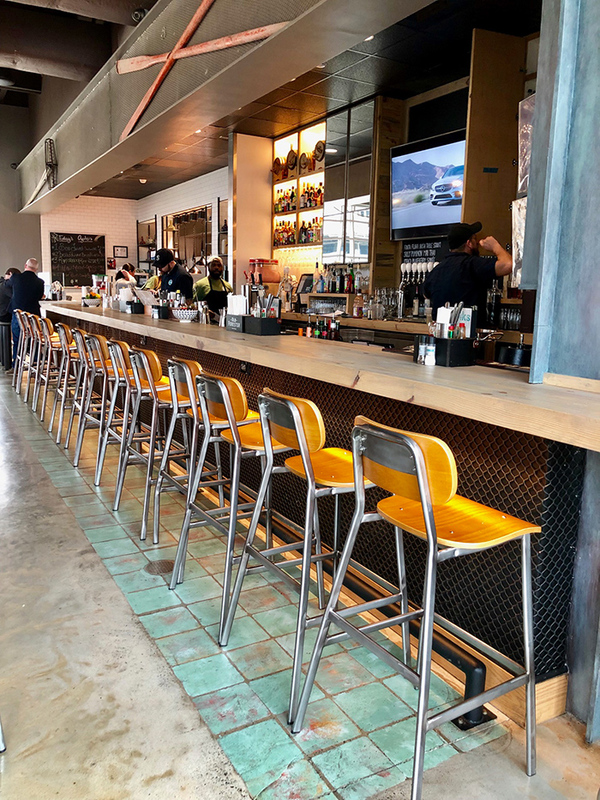 Other investors include Dennis Thompson (money guy behind Firebirds, Viva Chicken) and Frank Scibelli (owner of Mama Ricottas, Midwood, Yafo, Paco’s). 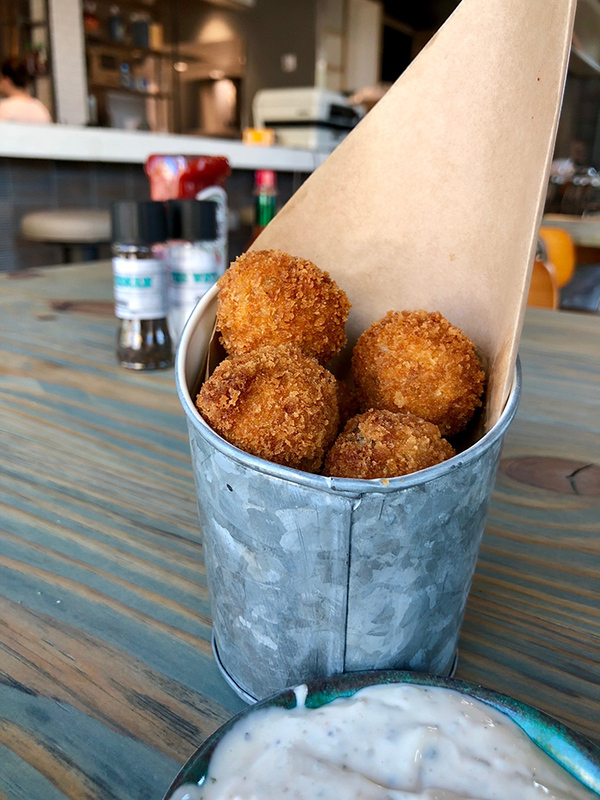 The Waterman’s menu: The menu includes tacos, seafood plates, salads, po’ boys, burgers, sandwiches, shareables and, of course, oysters. 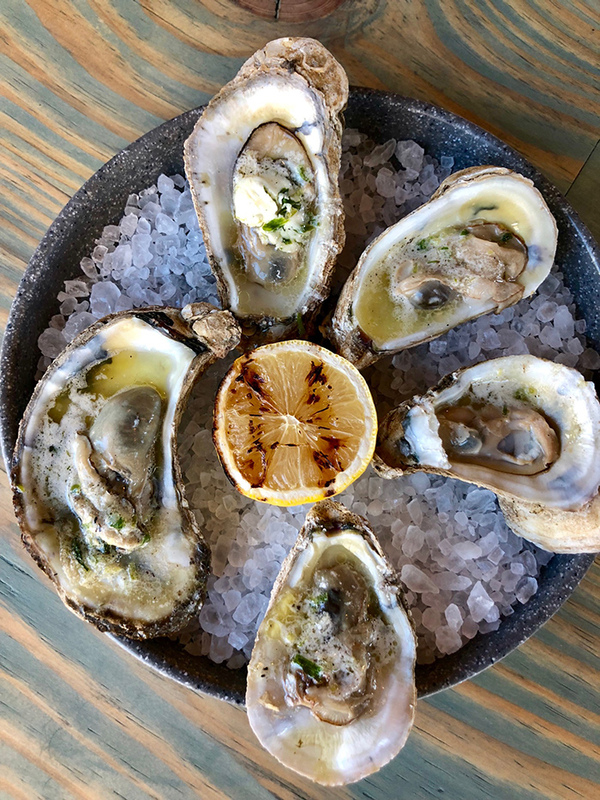 Cool deal: $1 oysters from 4-7 p.m. Monday through Friday. 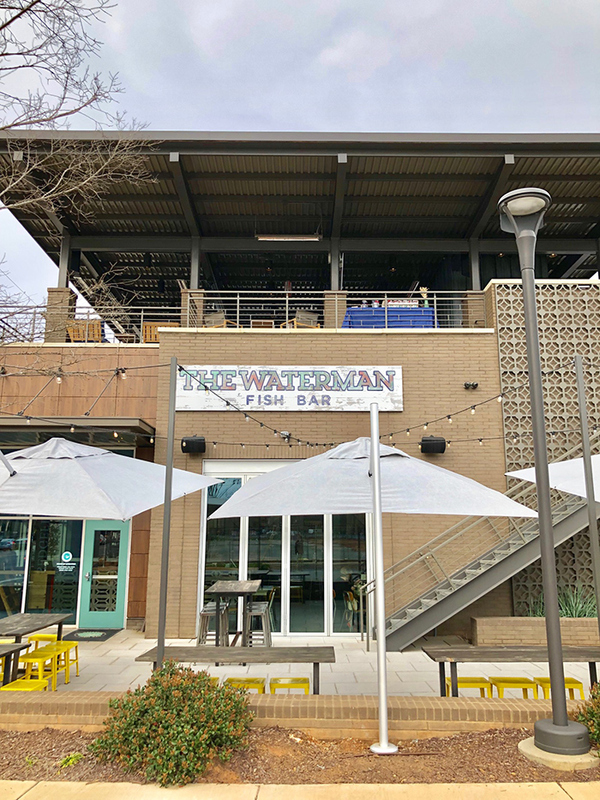 The Waterman also told the Agenda they’ve got live music and tiki drink specials every Thursday as well as a DJ, mimosas, bloody marys and punch every Sunday. Thirsty: The drink menu includes boat cocktails, frozen drinks and draft cocktails. Popular cocktails include The Waterman’s Sunken Pirate —Wild Turkey 81 Bourbon, ginger, blueberry puree, basil and lemon ($13); Clement — Old Forester Bourbon, Brugal Anejo Rum, Velvet Falernum, Peychaud’s bitters, and pineapple gum ($12); and the Nautical Mule — Pinnacle Vodka, ginger, blackberry, star anise and lime ($9). Hours: The Waterman is open from 4 p.m. to midnight Monday through Friday; noon to midnight on Saturday; and from noon to 10 p.m. on Sunday. 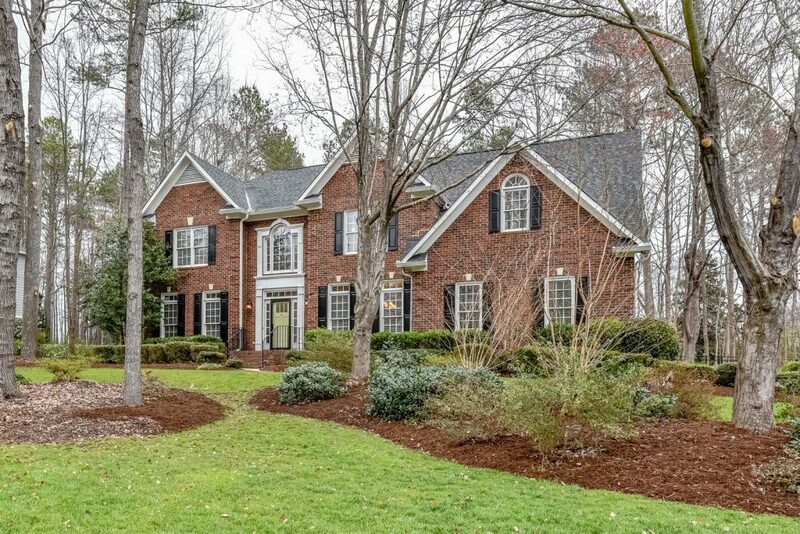 Location: The exact address is 2729 South Blvd (Suite D) in the South End shopping center anchored by Harris Teeter. 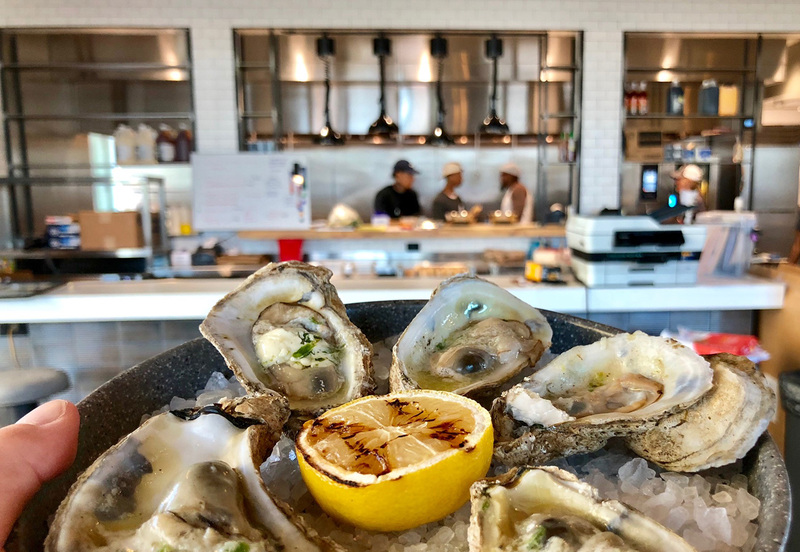 Layout: On the first floor, you’ll walk into exposed oyster shucking happening straight ahead, a mural of a salty old seaman (a modern-day coastal version of the Marlboro man) and oyster rakes on the walls. 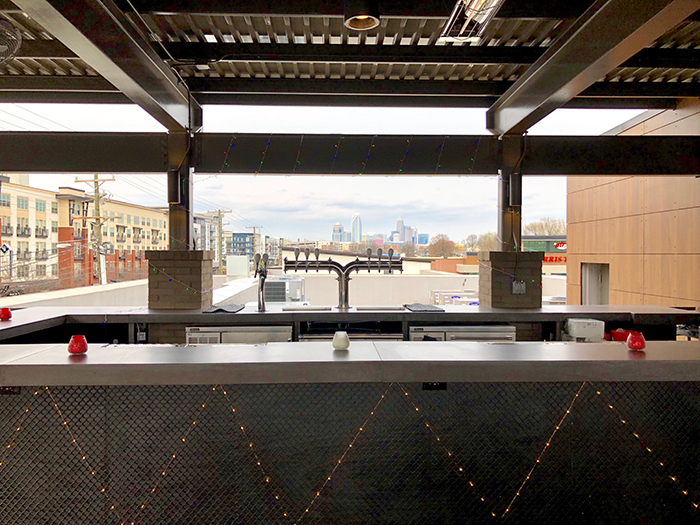 On the rooftop terrace, you’ll have a clear view of Uptown through the back of the bar. You’ll also find a mix of seating including friendship tables for casual groups. Well-known interior designer Carrie Frye led the project’s design. 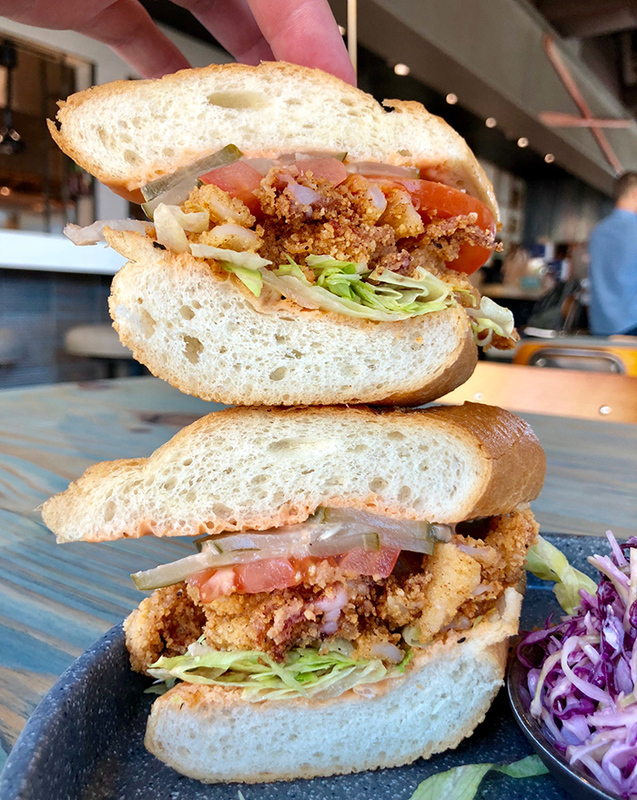 Po’ boy options at the The Waterman: fried shrimp, fried oyster or their brisket po’ boy served on French bread and smothered in brown gravy. 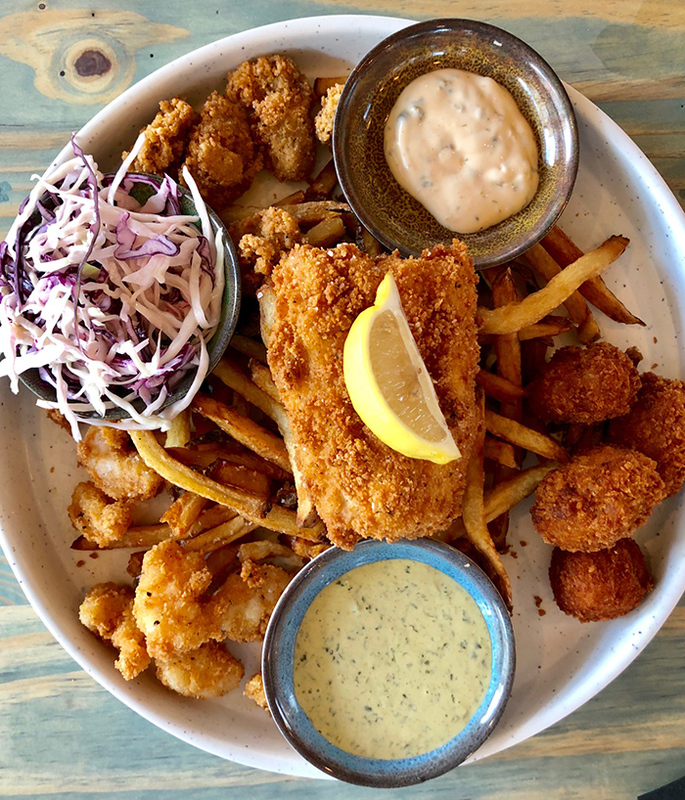 All served with fries or you can go with another side like cole slaw, roasted potatoes, corn, salad and crab mac. 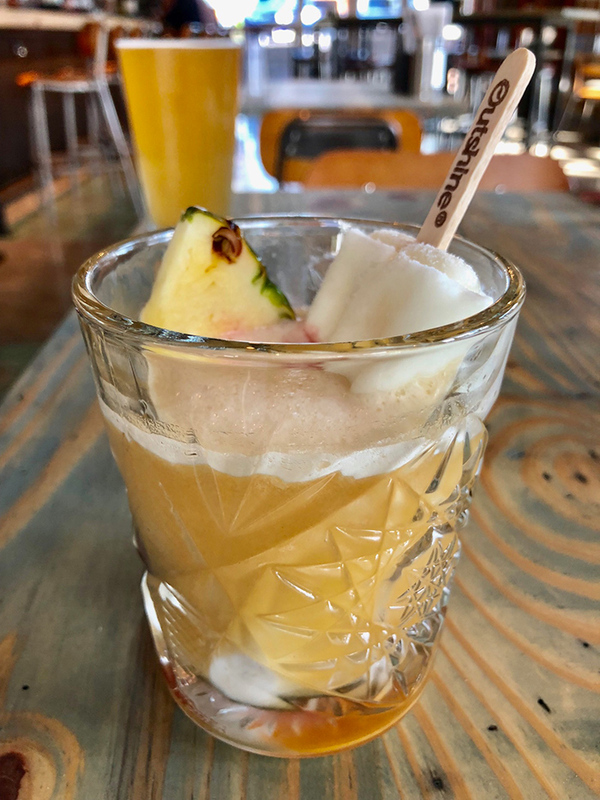 Pina Colada Float – Plantation Pineapple Rum, pineapple juice, almond milk and a coconut popsicle ($14).